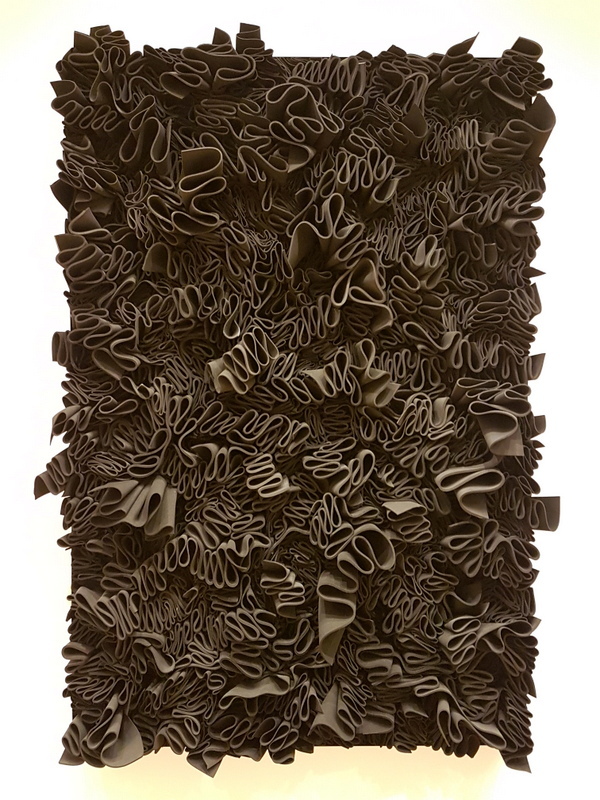 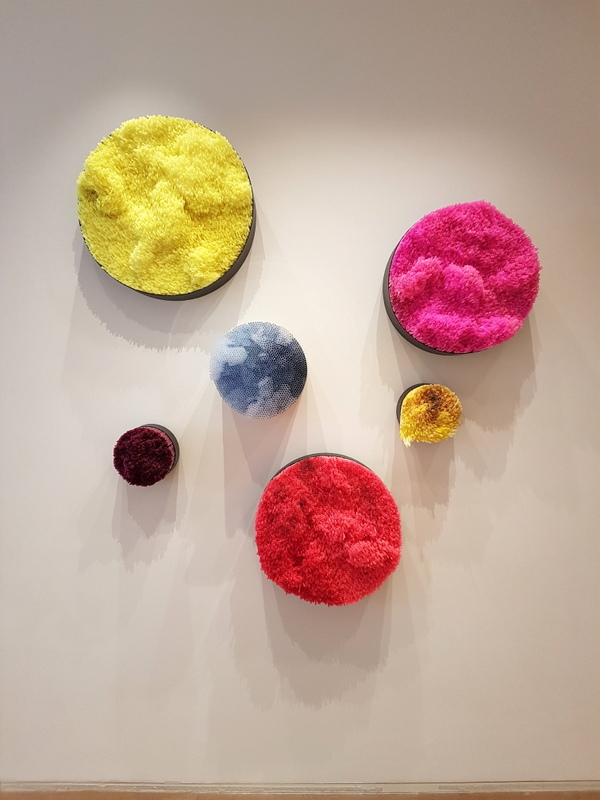 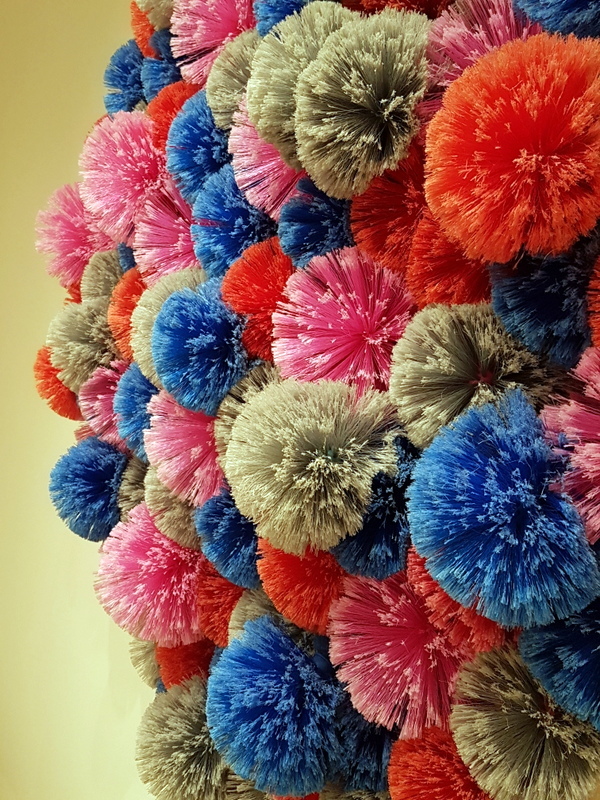 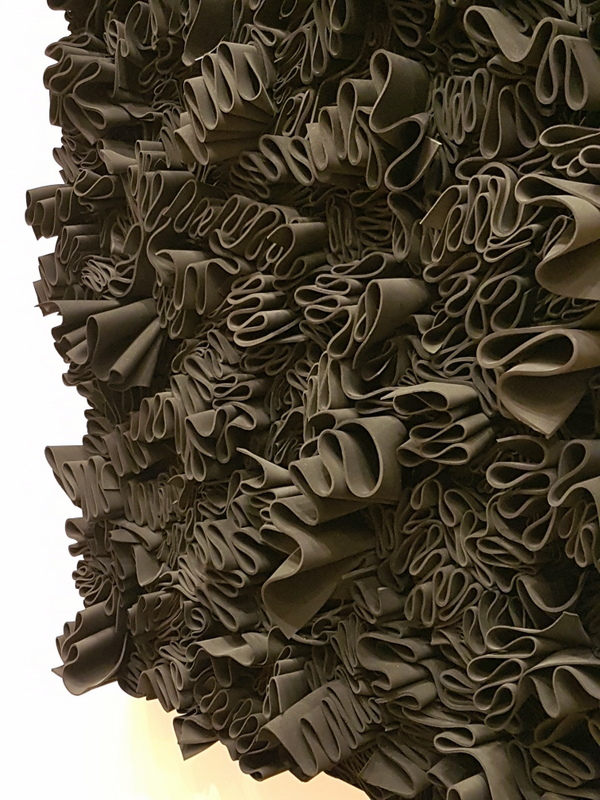 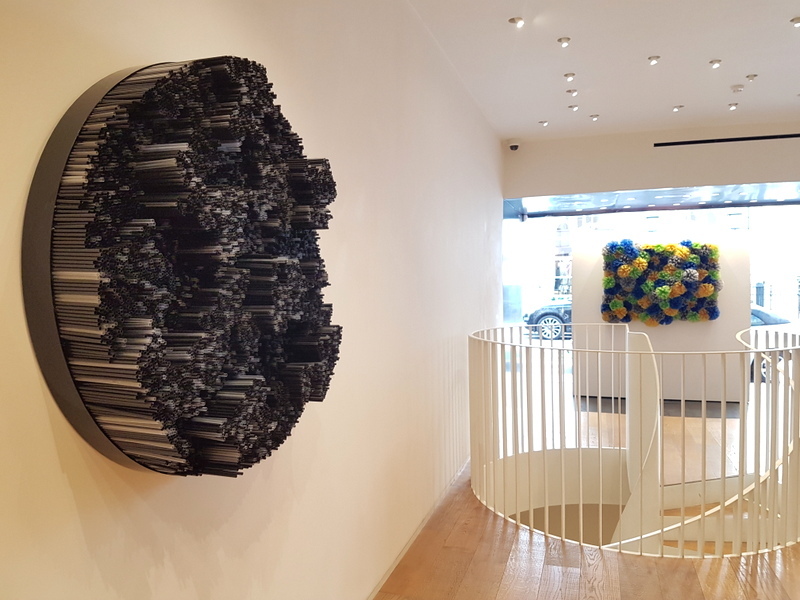 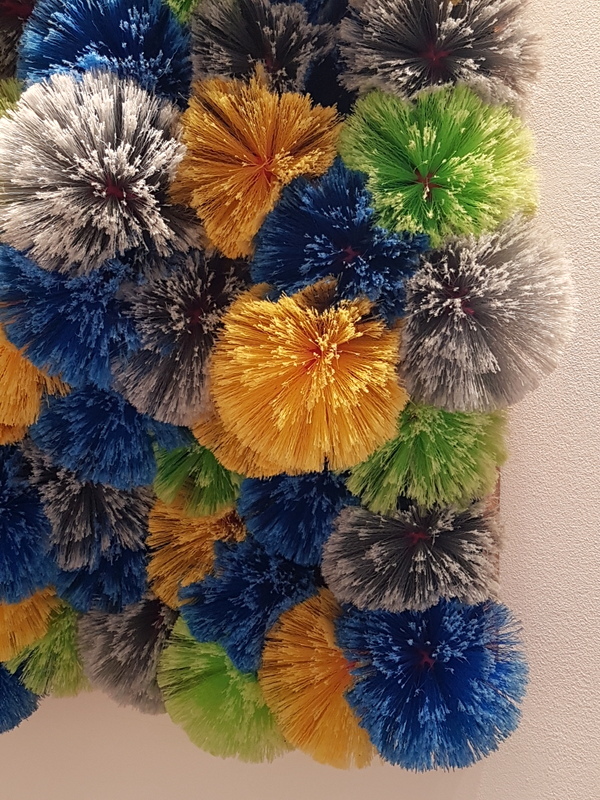 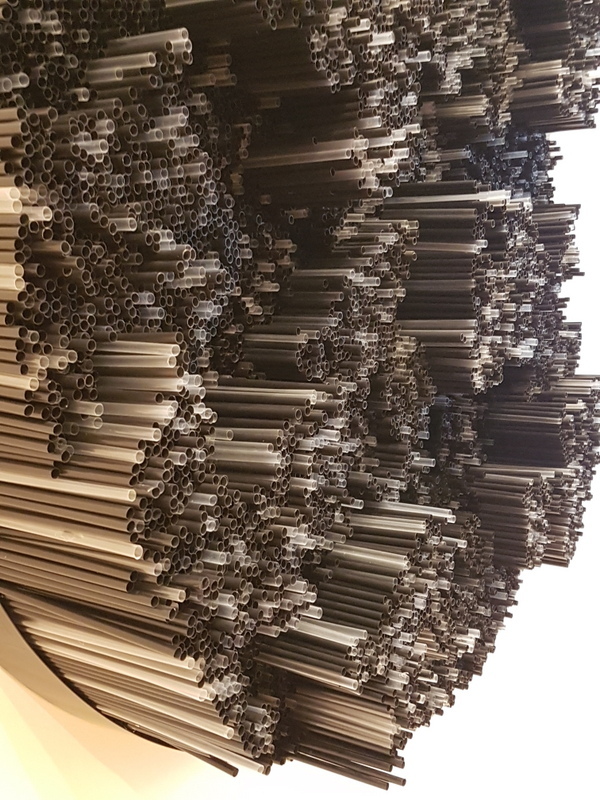 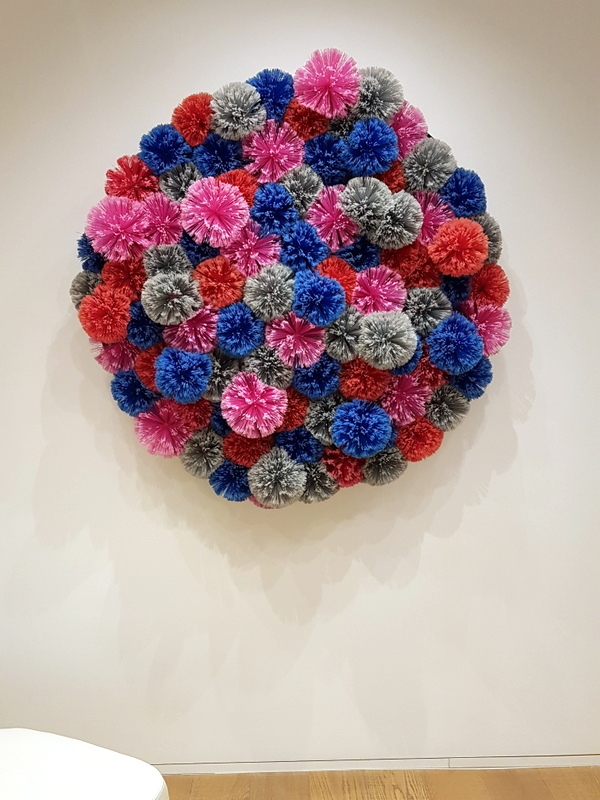 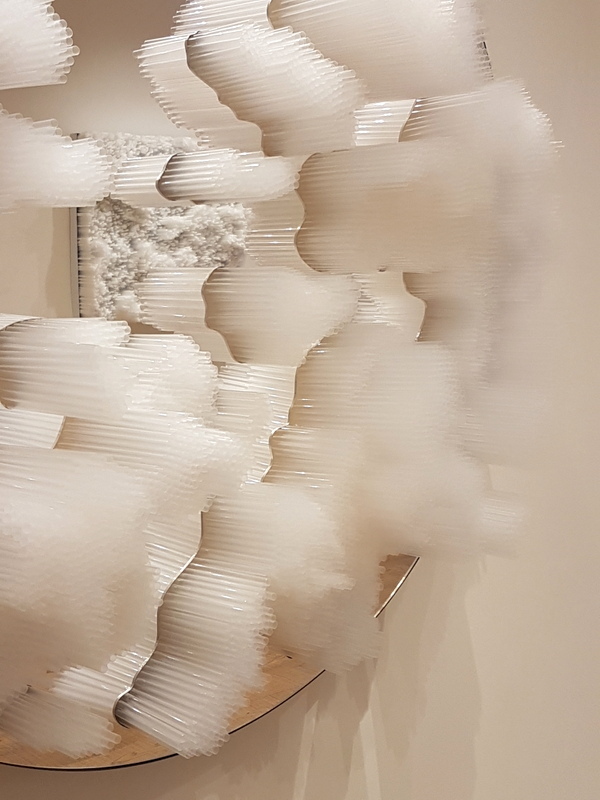 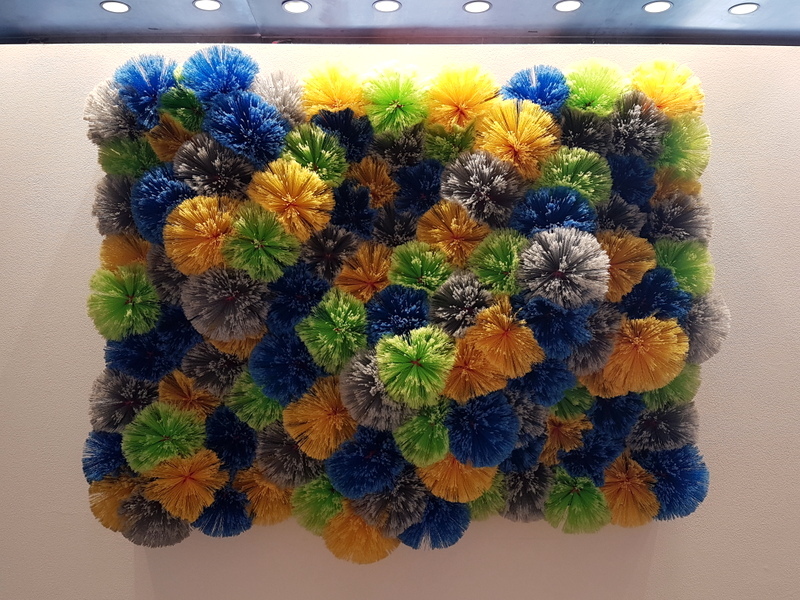 Goodbye to traditional oil paints – Italian artist Francesca Pasquali (born 1980) takes everyday items as the basic material for her natural, free-flowing sculptural installations, including plastic straws and plastic cobweb dusters. 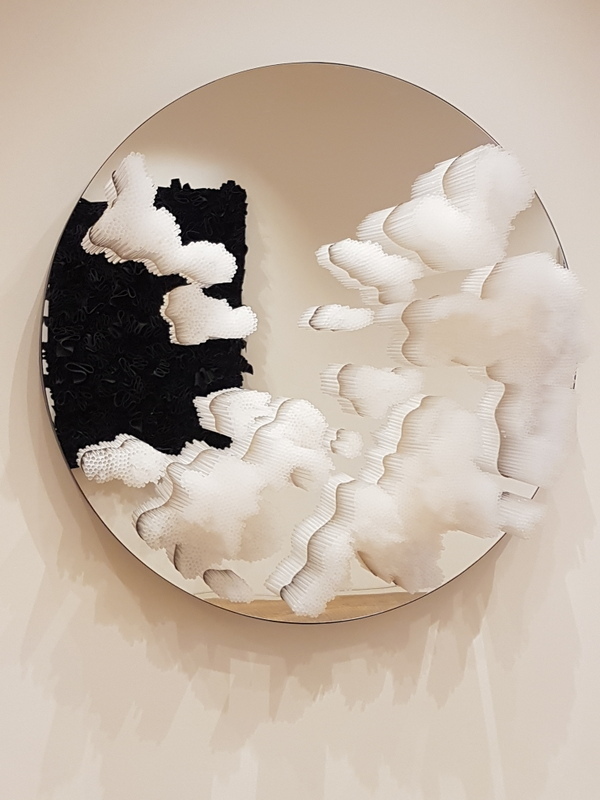 Her latest work on show at tornabuoniArt in a variety colours, some with mirrors to add the impression of the sea for her icebergs, takes on different effects depending on where you view it from, due to the changing lengths and shadows – from a distance the black and white straws appear to take on the texture of marble. 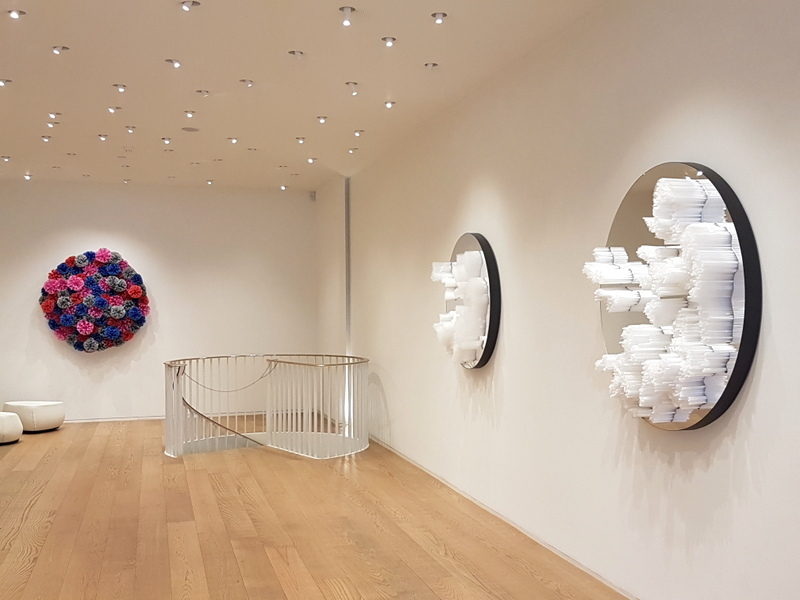 What will Pasquali turn to when single use plastics are banned and plastic straws disappear – we will have to wait and see, but we can be sure that she will find something new to use for her work.